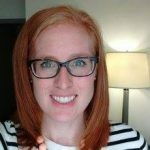 Jessica Pace is a post-doc fellow in the Department of Health, Ageing and Society and the Gilbrea Centre for Studies in Ageing at Mac. Her post doc research focuses on using PhotoVoice to understand transitions into ageing and dementia amoung southern Labrador Inuit. She is also a co-investigator with Dr. Chelsea Gabel on a SSHRC funded PhotoVoice project to document southern Inuit intergenerational engagement and well-being. She is committed to community-based participatory research approaches. She has worked with Anishinaabe communities on Manitoulin Island and southern Inuit communities in Nunatukavut territory in southern Labrador. Tara Bruno is an Assistant Sociology Professor and Researcher at the University of Western Ontario. 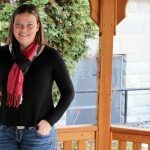 Tara is doing a youth-led research project in Woodstock, Ontario to understand youth mental health needs there. Tara is from Woodstock where she lives with her family. 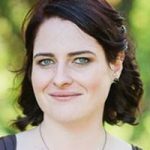 Julia Woodhall-Melnik is a Post-Doctoral Fellow working with Dr. Dunn. Julia’s research broadly focuses on the social determinants of health. More specifically, Julia’s program of research is centered on measuring and conceptualizing meaningful definitions of place-based stability and exploring interventions for improving housing trajectories. As a Post-Doctoral Fellow at the Centre for Research on Inner City Health at St. Michael’s Hospital in Toronto and an affiliate of McMaster University, Julia is involved with a variety of research teams through which Julia contributes to studies which focus on Housing First interventions, the relationship between problem gambling and housing instability, and women’s health, housing, and intimate partner violence. 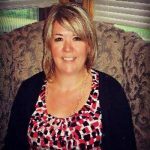 Kim is the Collaborative Program Coodinator at Trent University/Fleming School of Nursing in Peterborough, Ontario. She has 20 years of experience in the healthcare sector as a Professor, Consultant, Director and Clinical Nurse, focusing on acute care, administration and management and education. Kim has more than 10 years experience teaching at the undergraduate level. Her specialities include rural health and rural nursing practice, education in the long-term care sector, regulation issues, leadership development and child and family support. Kim has conducted research on best practice guidelines, nursing leadership development and rural nursing. She received the Dean’s Award for Teaching Excellence in Nursing and an Award of Excellence in Nursing Leadership.